Once you create a new content type, a new permission will be available for your roles. You can check specific permissions for each content types, but you can also check the “All content types” that will automatically allow user to edit/create/list all new contents. Limit your administrators / moderators to specific store views. 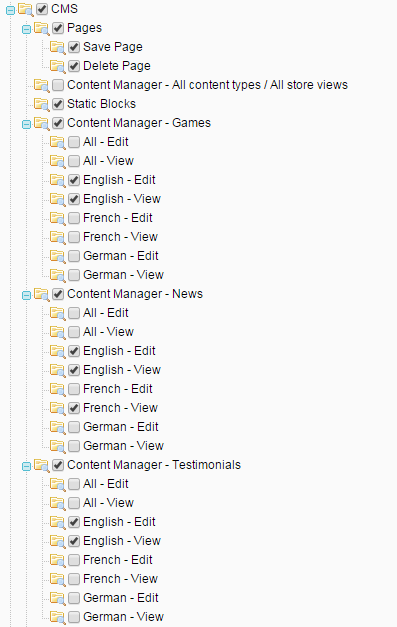 If you want to allow them to translate existing contents, you need to let them "View" the other store views.